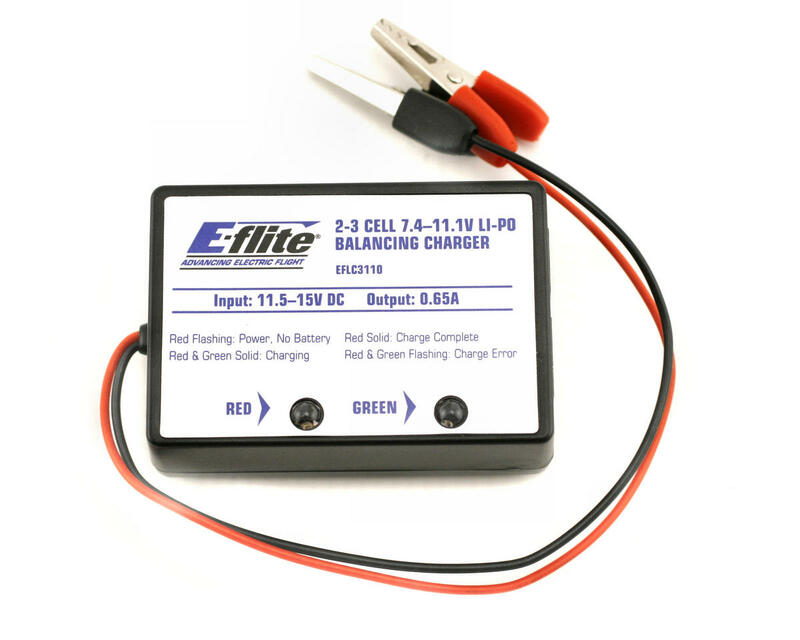 This is the E-Flite 2-3 Cell DC Li-Polymer Balancing Charger for the Blade CX/CX2 2-cell lipo 7.4v battery! This charger also works for 3-cell lipo batteries and has a charge rate of 0.65 amps per hour or 650 mah. This is the stock charger that comes with the E-flite Blade CX2, and it is the replacement charger for the Blade CX. It features two easy to see bi-colored LED's which offer an easily seen visual indication of the charger's status. 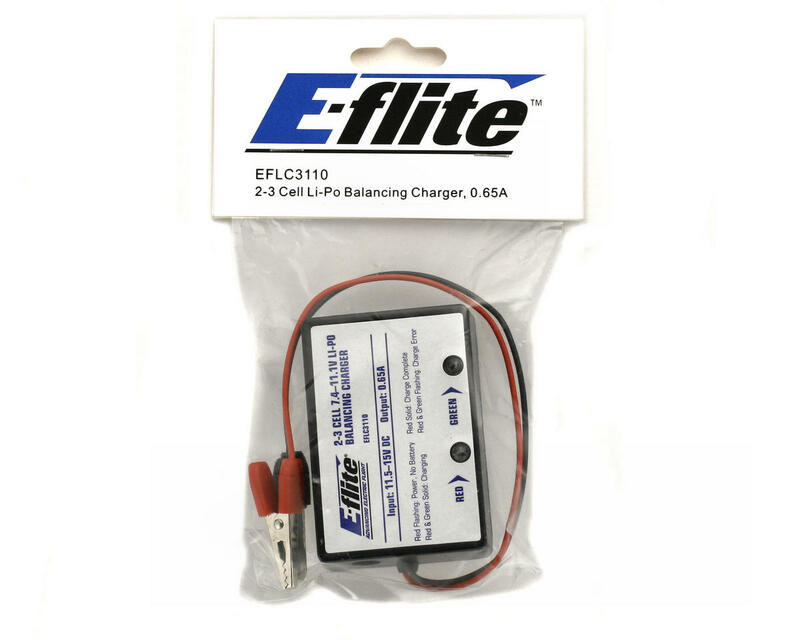 Requires an input power of 11.5 to 15.0 volts DC or E-flite 12 volt charger/transformer power supply (EFLC4000). I purchased this balanced charger with the AC to DC converter and could not be happier with the performance and truely balanced charges. Highly recommend! I wish others would provide an AC option for their chargers!